If you have one or more pets at home, it won’t take long for them to completely destroy the carpet, especially if they’re not fully housebroken. Even if your pet is well behaved and doesn’t have a lot of accidents, it can still end up hurting your carpet just by spending too much time on one spot. Dogs and cats both like to spread around their scent to “mark” certain areas of the house, so don’t be too surprised when your home rug ends up looking a bit worn and starts to smell of your pet after a time. Fortunately, you don’t have to let your pet run the show. With a few basic carpet cleaning tips and regular trips to Omaha’s healthier carpet cleaning service, your carpet can look and smell fresh as a daisy no matter how hard your pet tries to get in the way. For a healthier, fresh-smelling carpet, here are a few things you should do. When you’re trying to get a stubborn stain or odor out of a rug or item of clothing, nothing quite beats the combination of vinegar and baking soda. While both home products are extremely easy to find in your pantry and have spectacular odor-neutralizing properties, they also work to clean and disinfect the area with a minimum of mess. If you’re dealing with pet stains, however, vinegar might not always be the best way to go, since your pet will work to counteract the strong odor of the neutralizing agent by trying to “mark” his territory and assert his scent more strongly. Baking soda, on the other hand, while still capable of masking odor and killing bacteria, is slightly gentler in terms of smell. To neutralize an area, clean it thoroughly by spot treating the stain with a gentle dish soap and water solution, being very careful not to over-wet the area, and sprinkle it with a bit of baking soda. The soda will foam up to deal with the odor and bacteria and you’ll be able to cleanly wipe most of it away for a no-mess cleanup. One of the reasons that pet urine odor is so hard to get rid of is that it has high acid content. 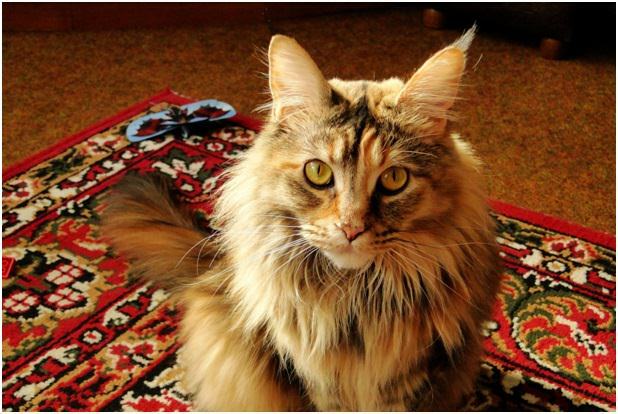 In fact, cat pee is so acidic and hard to break down that it can actually live in your rug for over six years. That means you need to fight fire with fire, by using an enzymatic cleaner to break down the acid content and completely neutralize odor. Thankfully, you can find enzymes in many places, from soy-based foods to avocado to pineapple. 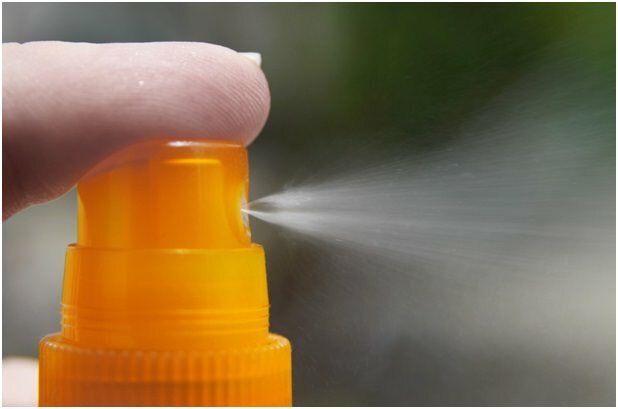 If you’re not opting for a specific pet cleaner using enzymes to break down odor and bacteria, you might want to think about using some of your household citrus fruits to do the job. Lemons and limes might not be as strong as a store-bought cleaner, but they have the ability to break down cat and dog urine, neutralize scent, and encourage bacteria to stay away. Sometimes, you can’t just rely on a DIY spray or concoction to do the job. In these circumstances, you’ll want to buy a green pet urine spray that will work to keep your rug clean and your pet far away from the scene of the crime. Many green cleaners can be found at your local pet store, and if you’re not sure about what constitutes an organic, pet-friendly cleaner or stain remover, just ask someone at the store or check the ingredients yourself. You don’t want to go for anything too strong. For instance, if something has bleach or ammonia in it, chances are it’s not going to be overly pet-friendly and may actually make the problem worse. Anything with enzymes or diluted vinegar will probably do the trick. Just make sure not to over-spray or over-wet your rug, unless you want a repeat performance of the act or want to create a breeding ground for mold on your rug. When all else fails, it’s time to bring your rug to get professionally clean. If you’re housebreaking a new puppy or kitten, don’t be too hard on yourself. Sometimes, no matter how much you spray, they just won’t stay away. While you’re still working on getting your new pet to obey the house rules, it might help to take your rug to the cleaners and make sure it’s getting a thorough, professional once-over. This won’t just help your rug stay odor-free and healthy, it will help discourage your pet from trying to ‘mark’ its territory.